Cereals provide a good source of dietary fibre and other important compounds with nutritional potential, such as phenolic compounds, antioxidants, minerals and vitamins. Although native Andean cereals are known to have high nutritional value, their minor components have not been studied thoroughly. 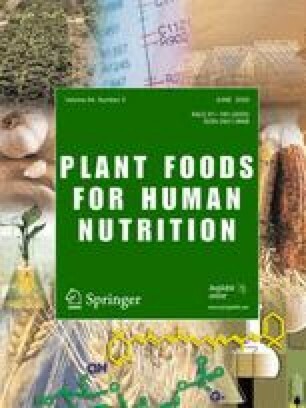 In this study, two varieties of a native Andean crop, kañiwa (Chenopodium pallidicaule), were investigated as sources of dietary fibre and specific antioxidant compounds. Two products, an extrudate and bran, were also prepared and their functional properties and bioactive compounds were determined. Both varieties were rich in total dietary fibre and lignin, and the phenolic components analyzed had high antioxidant activity. The extrudates had good functional properties, such as degree of gelatinization, sectional expansion index and water solubility index; the bran was high in bioactive compounds, such as total phenolics. In conclusion, kañiwa may offer an alternative to traditional cereals as a health-promoting food ingredient. Financial support from CONCYTEC (Concejo Nacional de Ciencia, Tecnología e Innovacion Tecnologica) is gratefully acknowledged. We thank Dr. Seppo Salminen for his critical reading and helpful comments on the manuscript.